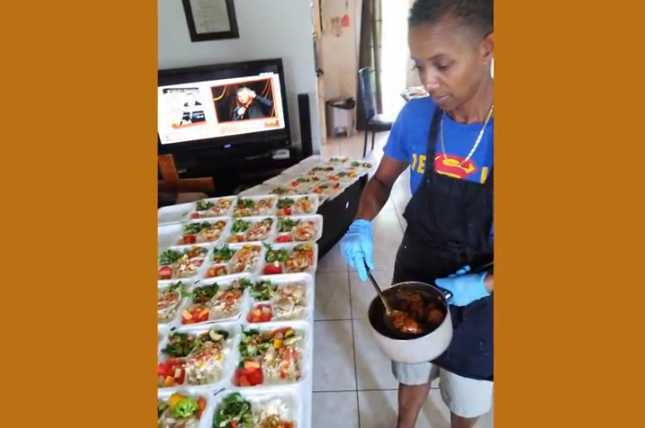 FORT LAUDERDALE, Fla. (Fox News) — A kindhearted waitress whips up fresh meals for the homeless in her community and says she has dished out 75,000 dinners from her own kitchen. Granny Gloria Lewis, 54, spends her weekends making 225 fresh dinners and 180 breakfasts from her two-stove, four-fridge kitchen after years of living on the brink of homelessness in her low-income job. Every Sunday the charitable mom-of-two preps giant trays of chicken parmesan, spaghetti and meatballs, barbeque chicken and ribs, along with fresh veggies and rice to help those on the street.